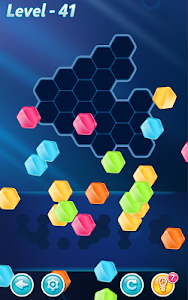 One simple mission: Simply drag the given hexa blocks to fit into blank space! • Arrange them to fill in the entire frame! • Note that hexa blocks cannot be rotated! • No time limit, stress-free! You can pick up where you've left off! •A Simple gameplay to get used to in seconds, but levels can be very tricky & challenging! •Thousands of unique levels to get your brain going all day long! 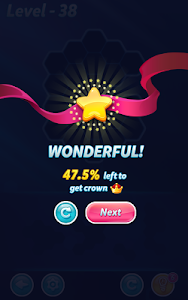 What a BRAIN stretch! 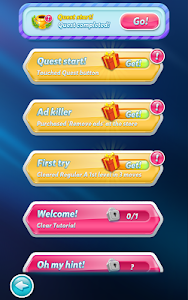 •Don't forget to get your daily rewards & earn even more award with SPECIAL QUESTS! •Stunning, colorful graphics & themes for pure enjoyment & excitement! • Block! 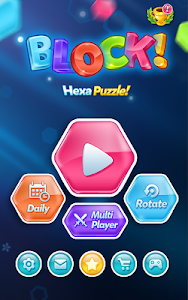 Hexa Puzzle™ is free to play, but you can purchase In-app items, such as Ad- free and hints. Similar to "Block! 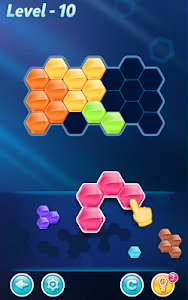 Hexa Puzzle™"